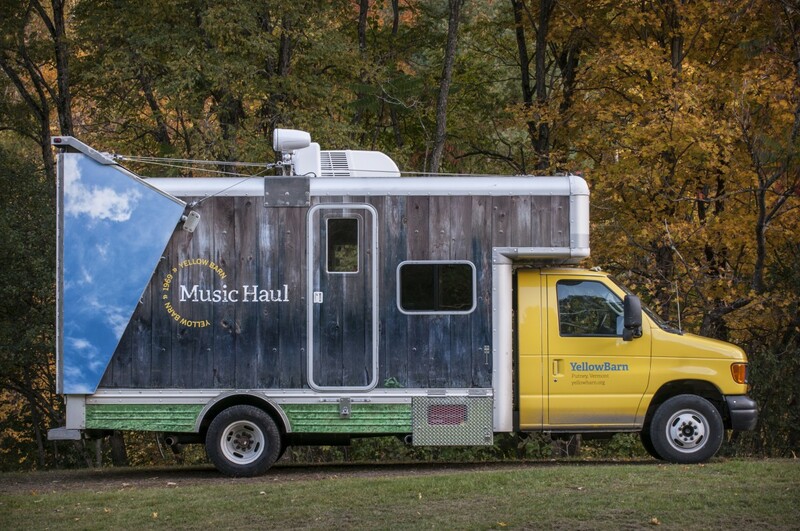 Redefining what a concert hall can be, Yellow Barn Music Haul brings music to grammar schools and conservatories, urban neighborhoods and arts districts, city lots and open fields. It plays for people regardless of their experience with or knowledge of music, their attention captured in the unexpected moment. With Yellow Barn Music Haul we realize music’s fundamental purpose, and inherent ability, to communicate in ways that defy definition and move us without explanation. Beginning with the purchase of an old U-Haul, Yellow Barn first invited architect John Rossi of VisibleGood to join the project. Together with designer John Kramer, Bill Lincoln at Response Marine, and Viking Welding, Yellow Barn's team devised a self-contained, traveling concert venue for as many as six musicians, fully-equipped with interior and exterior performance spaces, a high quality internal/external sound system, video capabilities, and climate-controlled passenger and storage areas, including storage for percussion, string instruments, and a piano. Where is Yellow Barn Music Haul? Visit us at Facebook and Twitter to see and hear more. Happy Birthday, Yellow Barn Music Haul! Read more about Happy Birthday, Yellow Barn Music Haul! Read more about "Now This is Barnstorming"
"Yellow Barn: Taking it to the Streets"
Read more about "Yellow Barn: Taking it to the Streets"
Nine days. Four boroughs. 20 performances. 83 musicians.